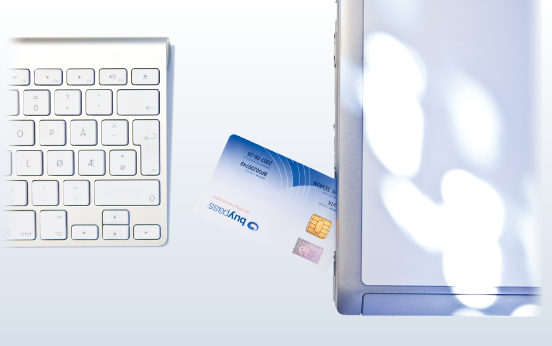 Do you have a Buypass smart card that isn’t ready to use with services that require the highest level of security? You can upgrade cards to use for logging in and signing with all online public services and with a number of private services. All prices include MVA and distribution costs related to the identity check at Posten. Place the smart card in the card reader, start the upgrade, and follow the instructions. Do you need a card reader? Order from our web shop. Within 3-4 business days you can collect an activation code at Posten. Identity checks are conducted to ensure that the code is delivered to the correct person. Go to the service you wish to use. Choose Buypass ID on Smart Card to login.